Easily attach your GoPro to any standard tripod using the Tripod Mount or the Quick Release Tripod Mount. 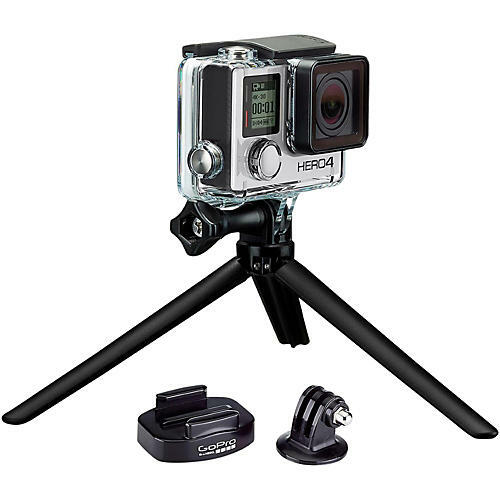 Also includes a lightweight Mini Tripod that attaches directly to your GoPro’s frame or housing. All three provide a solid platform for any situation where stability is a must.